Hear the voices from local users! A typical summer day in rural Cambodia, where temperatures reach as high as 40 degrees Celsius. This is the dry season. It hasn’t rained for six months and the surface water has dried. The groundwater remains the only source for piped water supply. If the drought continues, the few drilled wells will run out of water sometime between March and June. 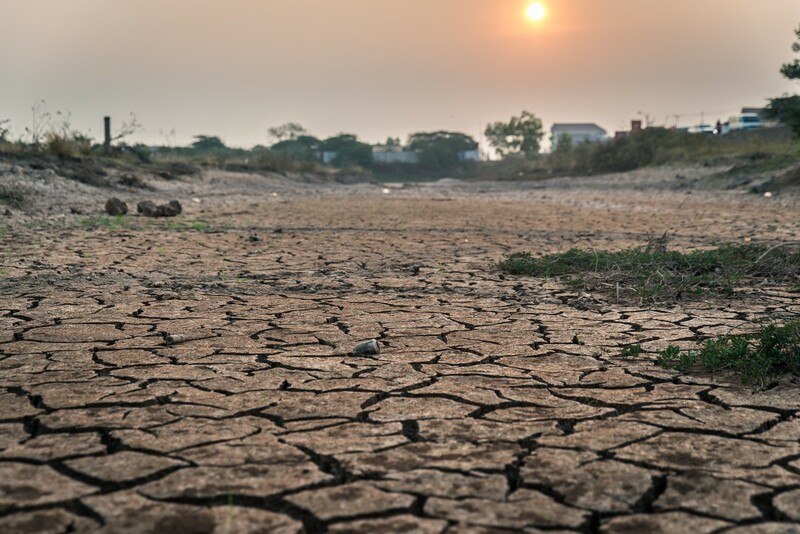 Under a hot scorching sun, not far from the Mekong River, water streams and ponds along the dusty village road are drying up. At mid-day, there is very little movement on the road. Most of the villagers are in their homes, keeping away from the summer hit. The Soknang family is one of them. Sitting on a bamboo bed under a wooden house, Phean Soknang, 9, and his parents are enjoying a fresh glass of water. Until three years ago, Phean’s family had no access to piped water. In fact, he grew up terrified of drinking water. As soon as he would have a glass, the pain in his stomach would start. He then would get sick and stay home. He would miss school and playing and sometime his parents would miss work too. “I used to have diarrhea after drinking water”, he confesses. “Since we got piped water in our home, I have not gotten sick, not even once! Now, I bring a bottle of water with me every day to school”, says Soknang. 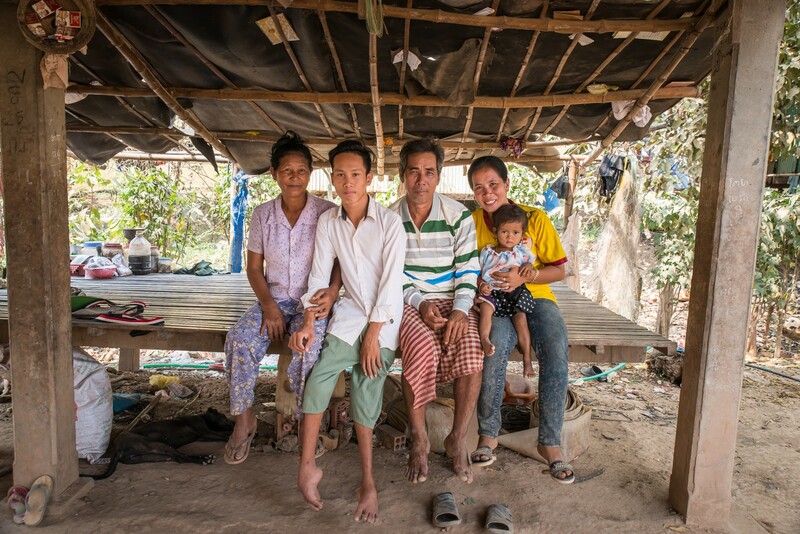 “We are so happy to have clean, safe water at our home”, says Saroeun, Soknang’s mother. We used to collect water from the river, which is about 200m away. It was very hard to carry. Then, we started buying water because we got busy working in the fields ourselves. But this was not a solution either. We would spend about 5,000 Riels for two jars (about 1.25 USD per 1,000 litres)”, she says. Mut Sokun, 19, suffers from clubfoot syndrome. When his house was not connected to piped water, Mut had to rely on other people when he needed some water. 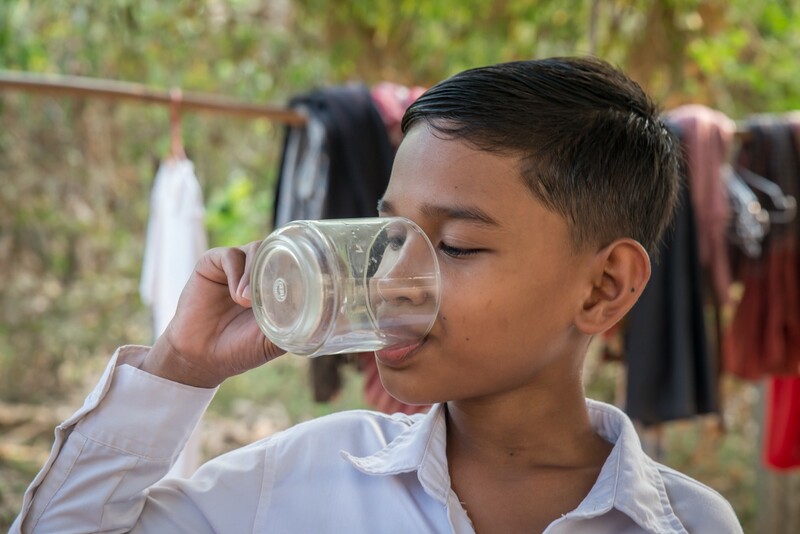 Since UNICEF and Cambodia Water Association (CSA) has brought water to his home, Mut is able to refill the tanks by himself and can help the family. “Every day my parents had to fill the water jars for me but now they do not have to worry about it anymore. I can take care of it by myself because it is so easy to get the water. I can fill the jars quickly from the tab. I really enjoy bathing too”, says Mut. 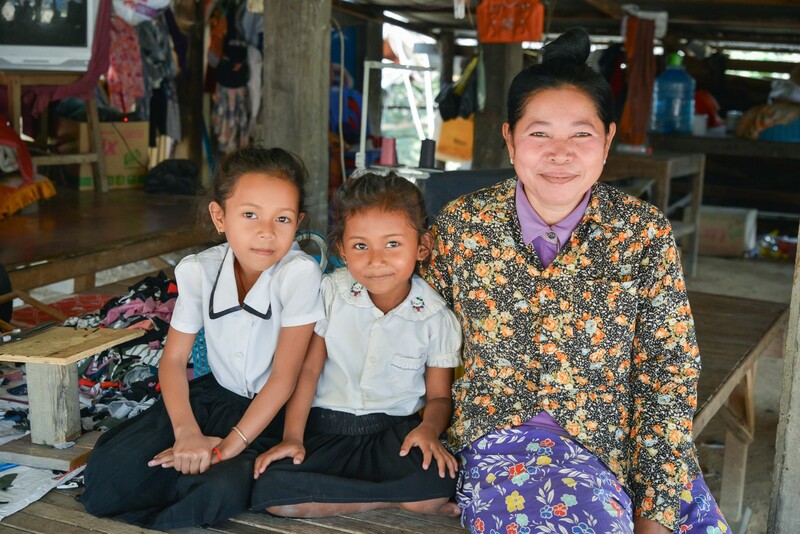 Chim Mom, 49, lives with her extended family in the small village of Bateay District, Kompong Cham Province. There are 11 family members in her house, including her children, grandchildren and daughters and sons in-law. Chim Mom spends her day at home but she is a busy woman. She takes care of the household, does sewing work and takes care of her grandchildren. “The water here was so expensive. We spend about 160,000 Riels (40 USD) per month to buy water from the delivery truck”, says Chim Mom. “Connecting the water system to our home has helped us to save money and be able to afford other important expense in the family. Now we spend around 65,000 Riels (about 16USD) each month for the same amount of water. Also, we don’t have to worry about calling for the water when we need it”, adds Chim Mom. Peam Chor is one of the arsenic high-risk districts in the Prey Veng districts in Cambodia. Arsenic is highly toxic in its inorganic form and one of the greatest threats to public health. The immediate symptoms of acute arsenic poisoning include vomiting, abdominal pain, and diarrhoea. In the long run, arsenic exposure can cause cancer, diabetes, pulmonary disease, cardiovascular disease and can impact a child’s development. 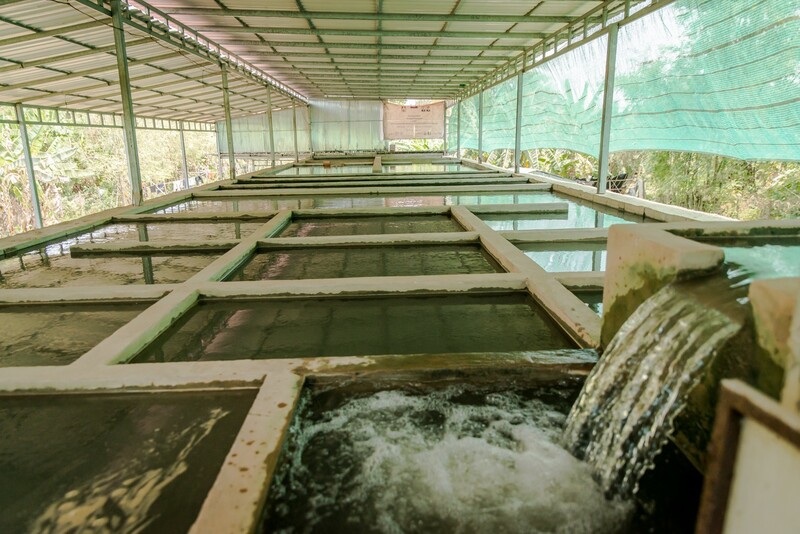 In 2016, UNICEF, with funding support from Aeon and the Japan Committee for UNICEF, partnered with the Government of Cambodia and the Cambodian Water Supply Association (CWA) to find an innovative solution to bring clean, safe, drinking water to Peam Chor families. The way it works is simple. UNICEF and CWA support CWA’s private water supply operators to connect piped water to the marginalised families for the subsidized price of 20,000 Riels per connection. The rest of the costs are covered by UNICEF and the water supply operator. In addition, UNICEF and CSA help the water supply operators to expand their reach to remote areas and support communities with additional water sources in the dry season. As a result, 1,371 households, including 298 poor and poorest families in Peam Chor, have access to a safe water supply.